San Francisco police officer Christopher Kohrs has been charged with two felonies for a hit and run incident in North Beach that caused two men serious injuries. He will face one charge for a hit and run causing injury and one charge for a hit and run causing serious permanent injury. Allegedly, Kohrs was driving west on Broadway when he struck two men crossing the street in his 2009 Dodge Charger around 2:20 in the morning. Kohrs abandoned his car at the scene and fled. He turned himself in to the police approximately eight hours later. Under California law, anyone involved in a car accident that leads to property damage, personal injury, or fatality is required to stop, provide their information, and render aid when possible. Realistically, even in a minor fender bender situation, a driver who is part of a collision should never leave the scene of the accident without fulfilling these basic requirements. If the crash caused injuries or death, then there is the additional responsibility to contact the police right away and remain there to offer information or assistance to the police and other first responders. If a driver fails to stop at an accident or initially stops and then runs away before the police arrive, he or she can be charged with a misdemeanor or felony crime. A hit and run is known as a wobbler offense in California because whether or not it is charged as a misdemeanor or felony depends on a number of factors, including the outcome of the accident and the driver’s previous driving and criminal history. If the driver caused one or more people injury during a hit and run, a prosecutor may charge him or her with a misdemeanor or felony under CVC 20001(b)(1). A misdemeanor could result in up to one year in jail and up to a $10,000 fine. A felony can be punished with up to three years in jail and up to a $10,000 fine. 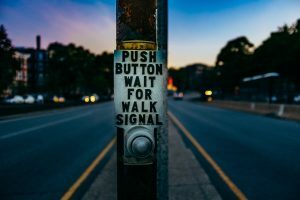 If the hit and run resulted in serious bodily injury or death, then the driver will likely be charged with a felony under CVC 20002(b)(2), punishable by up to four years in prison and up to a $10,000 fine. A driver who causes a hit and run accident is not free from responsibility just because he or she is a police officer. This factor actually makes the driver’s actions more egregious since he or she would have known the law and the importance of providing aid to accident victims. While the officer in this situation is being held criminally liable for his actions, the two victims of the hit and run crash may have the right to hold him civilly responsible as well. If you were injured in a hit and run crash, contact Brod law Firm today at (800) 427-7020. We can review your situation and explain your rights to compensation.